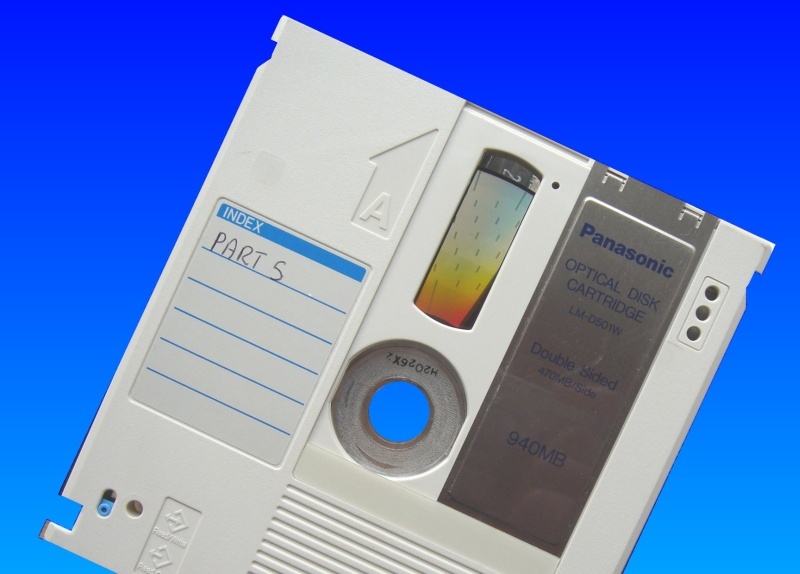 We can transfer files from these optical disk catridges made by Panasonic, Plasmon, and others. The disks look very similar to Magneto-Optical disks but are recorded using Phase Change technology. Common model numbers include P940C P1400C P1002E P1500E LM-R1500A LM-D500W LM-D501W LM-D702W LM-R1400A LM-W1400A. Double sided with sizes 940MB 1.4GB 1GB 1.5GB. We can transfer the files to CD DVD or hard drive. If you need a Optical Disk Cartridge Transfer to CD or DVD service, then contact our friendly company. We can transfer files from these optical disk catridges made by Panasonic, Plasmon, and others. The disks look very similar to Magneto-Optical disks but are recorded using Phase Change technology. Common model numbers include P940C P1400C P1002E P1500E LM-R1500A LM-D500W LM-D501W LM-D702W LM-R1400A LM-W1400A. Double sided with sizes 940MB 1.4GB 1GB 1.5GB. We can transfer the files to CD DVD or hard drive..